A trip to our new chiropractor today helped my migraine pain enough that I was able to take Mama to pick up a new pair of sandals. That’s where we met this adorable toddler, 16-month-old Corinne. She and Paisley decided they were just the right size for each other, and proceeded to entertain everyone with their mutual sweetness. 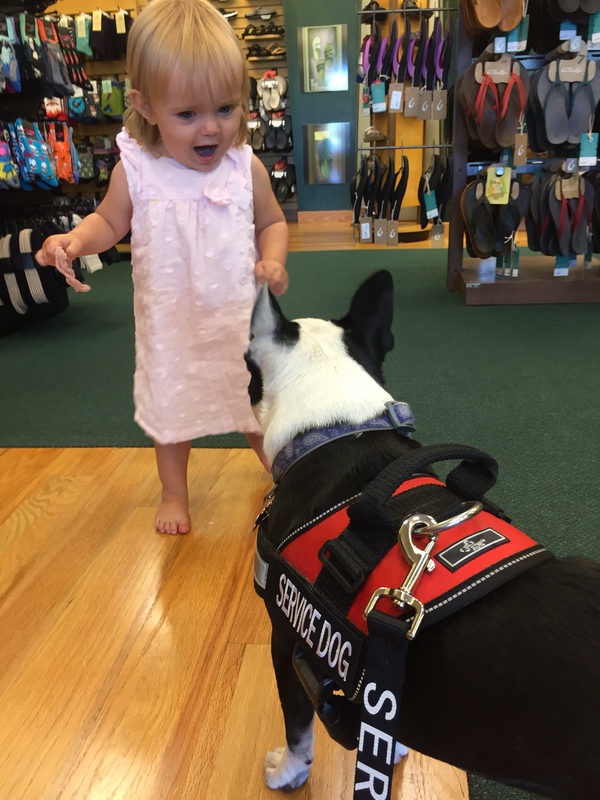 Today’s #OneGoodThing was Paisley’s new pint-sized friend! And many thanks to Corinne’s parents for granting us permission to share the photo! Day 244 of 365. And Day 975 in a row (here’s the first 366 & the following 365)! We were all mesmerized by this sweet scene. Hello, I’m Corinne’s mom, it was nice to meet you! Corinne was very enamored with Paisley. Enjoy you travels!